When a person gets injured because their medical provider was negligent it is called medical malpractice. The number of people who file claims of malpractice is steadily rising. The reason that there are more and more medical malpractice claims is a simple one: people are getting more medical attention than they have in the past. Looking at the rise in medical malpractice claims, one should not conclude that doctors are somehow more negligent than they have been. 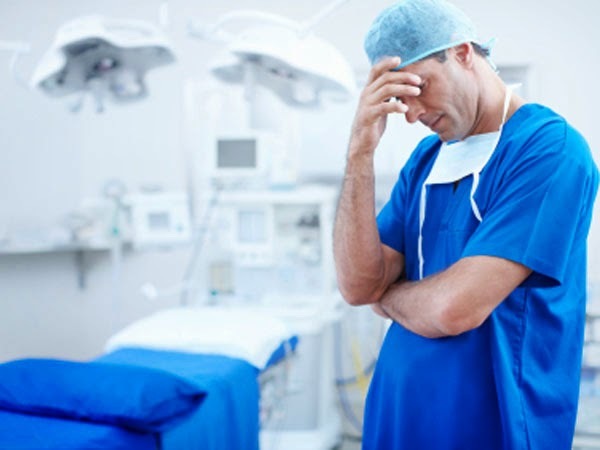 When you look at the total number of procedures done throughout the country and the number of procedures that have resulted in a medical malpractice claims the percentages are not increasing that much. There are a lot of medical malpractice suits that are the result of a plastic surgery procedure. Twenty years ago, plastic surgery wasn't something only people in Hollywood had. Now, plastic surgery is a pretty common elective surgery that is adding to the number of medical procedures being done in the country. There are a lot of things that can go wrong during a plastic surgery. There are many things that can go wrong when a person has a medical procedure or treatment of any kind. Medical malpractice claims, whether derived from a plastic surgery or not, usually fall under a few categories that I have detailed below. Anyone who provides medical care can be accused of medical malpractice. Everyone from the doctor to the nurse aid has a duty to provide a certain level of care. Medication errors are often the reason that people file medical malpractice claims. This can happen when a person is given too much medication as well as when they are accidentally given another medication. If a health provider passes a medication to a patient that they are allergic to and that allergy is noted in their records that is also an examine of an error in medication. st everything that can go wrong during a surgery. One common mistake that happens is that surgeons operate on the wrong body part. Hundreds people have discovered that they had a totally unnecessary surgery once the anesthesia has worn off. Surgical instruments being left inside of people also happens. When doctors fail to properly diagnose a problem that can sometimes result in a medical malpractice claim. This happens when a doctor does diagnose and issue and when a doctor diagnoses and issue wrong. Of course we know that doctors fail to diagnosis issues all the time. This is probably the hardest medical malpractice claim to win. So you would need to demonstrate that without a doubt the doctor should have known what the problem was. There are other categories of medical malpractice claims but these are the most common. See more information from the homepage. It’s also best if you follow them on twitter.